The SQA Advanced Diploma in Computing: Technical Support provides learners with a progression route into employment. It also provides opportunities for further study, including university degree programmes. This SQA Advanced Diploma covers a range of specialist technical skills and knowledge in using and supporting computer systems. It will give learners vocational and technical computing skills that will enable them to work in an IT-related role. 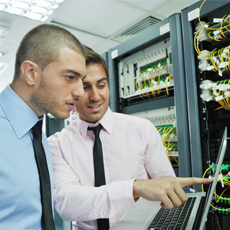 The course covers all the fundamental aspects of technical support, including in-depth knowledge of operating systems, networks, hardware, and software development — as well as professionalism, ethics and team working in computing. The SQA Advanced Diploma in Computing: Technical Support is available through a growing number of colleges and universities around the world. The SQA Advanced Diploma in Computing: Technical Support can provide advanced entry to degree-level study or a masters degree programme. For further information please refer to the SQA university agreements. The SQA Advanced Diploma in Computing: Technical Support at SCQF level 8 consists of 23 mandatory units.